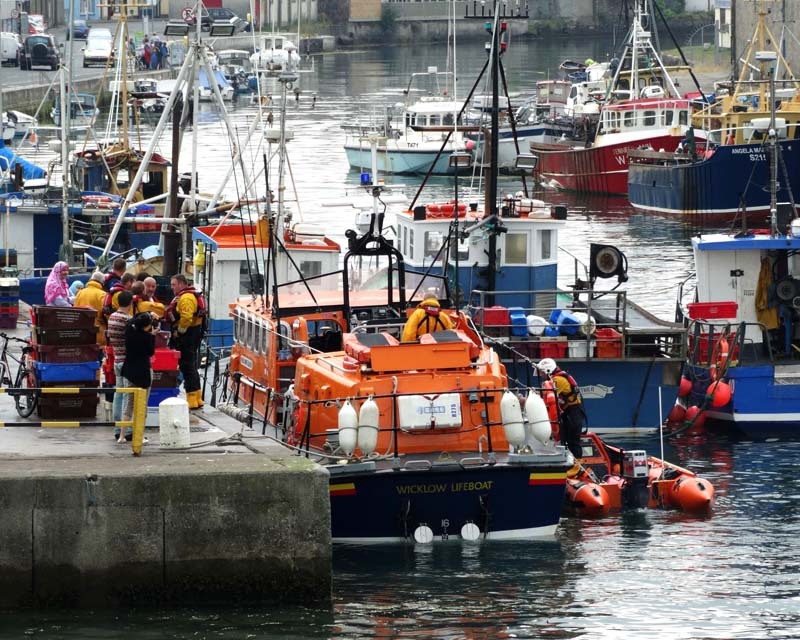 Both RNLI lifeboats launched at 1.40pm (Saturday 26 July) this afternoon after a small boat with four occupants sank eight miles north east of Wicklow harbour. The 17ft motor boat with two adults and two young children began to take water, the owner managed to radio a distress call before the boat sank, the family spent a short time in the water before a nearby fishing vessel picked them up. The trawler was asked to proceed back towards Wicklow to meet the lifeboat. The inshore lifeboat was alongside the fishing vessel twenty minutes after launching. Two crew were put on board the fishing vessel to access the casualties, they were transferred to the all weather lifeboat, as the causualties were showing signs of hypothermia and shock an ambulance was requested to meet the lifeboat on arrival. The lifeboat landed two adults and two young children at the South Quay after 2-30pm, where they were met by an Ambulance crew. They were checked out and later released unharmed by their ordeal.